My friendship with Joel Comiskey began in the Spring of 2001. I was scheduled to have a ten week sabbatical during the summer months. My desire was to travel around the world and see various cell churches. Randall Neighbour suggested that I call Joel concerning the “hopping” cell churches in Central/Latin America. I contacted Joel who had recently returned from Quito, Ecuador where he and his family ministered for several years. Long story short, Joel helped me connect with churches in Ecuador, El Salvador, and Bogota. It was a rich experience I will not soon forget. Joel’s attitude was clear. He didn’t know me, but he was for me. That’s Joel Comiskey. It’s true for you as well. Joel may not know you, but he’s for you. He is an encourager…a great supporter. 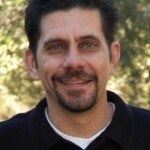 Joel is not merely a cell church theorist, but a cell church practitioner. Not only does he have international cell church planting experience, but he has also planted a cell church in Morena Valley, California where he currently resides. The church around the world knows him as the “cell church guy.” At heart, Joel is a writer. His articles/books/blog posts have resourced the church. With this said, let me recommend you order a copy of his new book, Planting Churches That Reproduce. I’ve had a chance to read it from cover to cover. You will benefit from reading this book. Further, order it for your pastors, cell leaders, and/or cell members. I like for the pastors at my church to read six to eight books a year. I pick a book that I believe will help, change, and/or encourage us. I get a copy into the hands of my pastors. About a month after my pastors receive a book, then we discuss the book as a team. We’ve enjoyed many enriching and fun discussions using such methodology. I’ve also noticed another dynamic to such an endeavor. Word trickles through the church family that the pastors have read a certain book. This encourages our cell leaders and members to read. I believe that “good leaders are good readers.” I’m sure you have a similar strategy to keep your people reading. Two final thoughts concerning Joel Comiskey’s ministry. He is a disciple of Christ. Finally, I have the privilege of knowing his wife (Celyce) and three daughters. This is a family that not only love God, but clearly love each other. I’ve seen it with my own eyes! Your church has become too complicated because youâ€™ve grown too large. The fact that weâ€™re talking about multiple layers of generational multiplication says to me that you need to simplify the process. You need to plant new churches. Give away some of those layers of multiplication to a new church plant. Donâ€™t try to figure out how to keep them all under the same roof. God wants you to become a church planting movementâ€”rather than growing your own church larger and larger. I surprised myself by that answer. For many years I promoted complicated coaching structures in mega cell churches and wrote books that helped people figure them out. Yet I began to realize that very few churches were large enough to understand what I was writing about. It also dawned on me that smaller church plants had the added benefit of being far less complicated! I rejoice in the world’s largest cell churches. However, I believe the VAST majority of cell churches will never reach that point. Most will focus on simple church planting movements. What do you think? After using two stadiums simultaneously to gather the church, we received new passion to spread the good news of salvation. Pastors, leaders and supervisors launched themselves with new strength to fulfill their responsibility. As a result, the church continued to grow. Therefore in 1999 we decided to use three stadiums simultaneously. Again, the stadiums were filled with a number reaching closely to 100,000 attendees. For the next year, 2000, the logical step would have been to use four stadiums. But, instead, we embarked to use five simultaneously. Again, the stadiums were filled at their full capacity with an attendance of about 120,000 people. The problem is that in El Salvador, there are only five stadiums. And we could not continue to add more stadiums. So we projected for 2002 to gather again the whole church in an open field equivalent to eleven soccer fields. At that time, attendance was estimated at 150,000 people. Again in 2004, we used the same open field. This time, an estimated number of 200,000 people were present. But the rally already had such relevance that in that particular time the President of the Republic, several congressmen and several mayors attended. Other government officials joined in too. It was a great opportunity to present to them the gospel of Jesus Christ. DespuÃ©s de utilizar dos estadios simultÃ¡neamente para reunir a la iglesia, recibimos nueva pasiÃ³n para extender las buenas nuevas de salvaciÃ³n. Pastores, supervisores y lderes se lanzaron con nuevas fuerzas a cumplir su responsabilidad. Como resultado, la iglesia continuÃ³ creciendo. De manera que en 1999 decimos utilizar tres estadios simultÃ¡neamente. Nuevamente los estadios se llenaron con una cantidad ya cercana a los 100,000 asistentes. Para el aÃ±o siguiente, 2000, el paso lÃ³gico habra sido utilizar cuatro estadios. Pero, en lugar de ello, nos lanzamos a utilizar cinco estadios simultÃ¡neamente. De nuevo, los estadios se llenaron en su completa capacidad con una asistencia de unas 120,000 personas. El problema es que en El Salvador solamente hay cinco estadios. Ya no podamos seguir aÃ±adiendo estadios adicionales. De manera que proyectamos para el aÃ±o 2002 reunir a la iglesia de nuevo toda junta en un campo abierto equivalente a once canchas de fÃºtbol. En esa ocasiÃ³n, la asistencia se estimÃ³ en 150,000 personas. En 2004, volvimos a utilizar el mismo campo abierto. Esa vez un estimado de 200,000 personas se hicieron presentes. Pero el evento tena ya tal relevancia que, en esa ocasiÃ³n, asistiÃ³ el Presidente de la RepÃºblica, varios congresistas y varios alcaldes. TambiÃ©n se sumaron otros funcionarios de gobierno. Fue una gran oportunidad para presentarles el evangelio de Jesucristo. My father was a midwestern farmer. I recall seeing him walk through the fields to inspect the growing crops. As he walked between the rows, he would wave his hands along just above the heads of wheat in the same way he would rustle my little head of hair as an expression of love. I believe he loved his harvest and cared for it closely. Translation? Point? I need to be walking among those God has put in my care, watching for their maturity, rubbing elbows, tousling heads, expressing love and care. Sharing one another’s burdens fulfills the law of Christ. Confirming their growth along a training track and encouraging discipleship that reflects Jesus to the world, the cell church pastor cannot become isolated from the lives of those making up the field entrusted to him. Jesus deomonstrates this principle of discipleship; it is recorded in the Bible and in our own lives. He walks with us, while calling us to abide in Him and draw life that leads to maturity. How do you sense Jesus tousling your hair in love? How do you proactively spend time with your people? Joel’s post yesterday concerning his ministry trip to Uzbekistan was encouraging. These trips are possible because of financial contributors to JCG. Monies given to JCG enable Joel to equip in various international sites around the world. He has participated in such ventures for many years. My church family financially supports JCG. When I receive reports from Joel like his post yesterday, I am greatly encouraged and motivated to be a ministry partner with JCG. I encourage you to contact me concerning financial partnership with JCG. Let me be clear. When Joel travels abroad, he is speaking forth the life changing message of Christ. Indeed, cell church structure is “in the mix.” However, he travels abroad because of his commitment and love for Christ. Become a part of his sending team!